If you’ve been in a fender bender, this is what you need to do. No car accident is ever ideal, but as far as they go a fender bender isn’t too bad. That is, it doesn’t have to be if you follow the proper steps afterward. If you don’t, you could find yourself facing insurance snafus or even legal issues! To help you smooth things out after your fender bender, make sure you take these steps immediately after. First things first, move your car a safe distance onto the shoulder and make sure other drivers do the same. Not only does stopping in the road leave you exposed for another rear ending, but it also holds up traffic. Don’t be the person who caused the freeway jam! Once you and the other driver have reached safety, check for injuries. Usually, a fender bender doesn’t result in much more than a racing heart. Once you confirm that everyone’s okay, get the other driver’s info. This should include his or her insurance information, contact information, and license plate number. Take photos of this information and the damage to both cars to use with your claim. If you have the sense that there could be issues with this insurance claim, it’s a good idea to call your local police. They can give you a police report so you’ll have tangible evidence of the aftermath. If you don’t call the cops, you still need to get out your phone. Give your insurance agent a call to let him or her know about the accident. Your agent can advise you on next steps to make your claims process as fast and easy as possible. Fender bender or major accident, you’ll want to have auto insurance in place to pick up the tab. 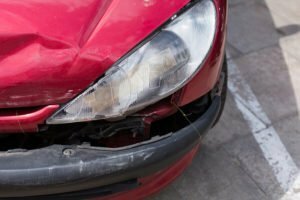 To get the coverage you need to be protected post-accident, contact Pierce Insurance Group in McKinney, Texas today.